The fax machine has been around for many years and nearly every office, and many homes in the USA and Canada, has one. However, over the last few years this industry has been transformed by the introduction of an Online Fax Service using the Internet. No longer do you need to be concerned about your fax machine breaking down, being out of paper, or privacy as everything is handled in the cloud. Frequently asked questions and answers that help explain more about Online Fax. The types of features and plan options to look out for. Online fax comparison of some of the most popular providers and reviews from actual customers. An Online Fax Service allows you to send and receive documents electronically without the need for a fax machine on-premise. The only requirements are a high-speed Internet connection and an email account. The service provider will handle all of the sending/receiving for you in the cloud. They have state of the art on-premise servers that are fully maintained by them. A user will send a fax to you in their normal manner to your assigned number. The documented is directed to the service provider and they convert it into a digital form and then send it to an email account designated by you. It is all handled in the cloud and you simply receive an email with the document attached. There are typically various options for how to send an online fax. These can include just dragging a document to a providers icon on your computer, or by using a special portal that you access on your computer or smartphone device. Some providers will have the send option integrated into Microsoft products such as Word, Excel, Outlook etc. (similar to printing a document via the File menu). This makes it very easy and convenient. Once sent the service provider takes care of the delivery from their secure on-premise machines/servers. There is no extra equipment or supplies needed other than your computer. What if I Have Paper Copies to Send? If you have a document in paper form, simply scan it to your computer and send in the ways described above. Some providers allow the use of your existing fax machine with the addition of a special adaptor they provide you. This adaptor connects between your machine and your Internet connection, converts the output into a digital format and then sends it over your Internet connection. Anyone can use this type of service, a business or an individual. Most providers do focus on businesses though, with plans typically revolving around number of pages sent/received per month. No, you do not need any special equipment to use this type of service. You do need a high-speed Internet connection and an email account though at minimum so you can send and receive. Yes because most service providers include high security encryption. This keeps both incoming and outgoing secure. Many also provide password protected accounts where you can access your storage area. Most service providers allow you to send many different types of files, including PDF, JPEG, TIFF and the standard Microsoft Office document types. If you have some specific file formats you need to send/receive then we recommend checking with the service provider directly before signing up for service to verify they are supported. This should not be an issue though. Who Can Send Me Faxes? Anyone can. You will be assigned a number to use. Anything sent to that number will be converted into a digital format and sent to the email address you have provided. There will be no difference to the person sending the document, regardless of the technology they use. Yes, this type of service is very reliable. There are never any busy signals and the document is typically stored in the cloud for a period of time (dependant on provider) so a copy is available if there are any issues. The benefits with a hosted service are that it is convenient, secure and very low cost. Instead of having to purchase the traditional hardware and dedicate a phone/data line to it, the Internet is used to send and receive. Costs can vary depending on the type of plan offered by the provider. Some services charge a monthly rate for a certain amount of pages, while others charge per page. Depending on the amount of usage you anticipate, you can choose to pay by the month for a maximum number of pages or per usage. Set-Up Fees: Some providers do charge a set-up fee while many do not. Take this into account when comparing options as some that charge a fee may have lower monthly or per page fees. Plan Types: There are two common plan types, one which is based on a monthly fixed rate for a given number of pages sent/received, and one that is based on a per page usage. When considering a flat monthly rate plan be sure to check overage fees (per page fees if you go over your monthly quota of pages based on plan selected). Comparison is easy if you have a reasonably consistent usage per month. If not we recommend taking a look at your usage over the previous year to help with selection, whilst taking into consideration any potential changes for the coming year. Features: Some features to look out for include encryption for security, online portal for managing your account and for accessing logs, amount of storage and length of storage time. Integration into Microsoft applications is a nice to have for convenience. With the increase in smartphone usage having the ability to send/receive documents via your mobile device is another nice to have feature. Trial: Many service providers offer a 30-day free trial period. This can be beneficial because it allows you to take their service for a test drive. Find the service that you think best suits your needs, and then go through the trial period. Make a note of how many pages you actually send and receive during that period. Also make a list of problems you have, or features you like. If, at the end of the 30-day trial period, you are satisfied with the service its typically very easy to switch to one of their paid plans. Let's now compare some of the most popular providers of this service and highlight some reviews we received for them. The Nextiva solution comes in 3 plan options, as follows. A free trial is available on the Basic plan. Basic Plan: This is a low cost plan starting at $4.95/mo when you sign up for the annual plan ($59.40/year), or $8.95/mo for the month to month version. This includes 500 pages plus all their features and support. Premium Plan: Up to 1,000 pages for $12.95/mo on the annual plan or $17.95/mo when month to month. Max Plan: Up to 3,000 pages included in this plan at $29.95/mo (annual plan) or $34.95/mo (monthly plan). Features: These plans are feature rich and include send/receive by email, use of existing fax machine with adaptor, send/receive from Microsoft applications, send/receive by cell phone, and secure servers including storage of sent/received. They have a porting service so you may be able to keep your existing number. Technical support is USA based. John (CA) : I have used this service for a couple of years and have had no issues. Works very well and is relatively easy to use. I like the fact that faxes are forwarded to my in-box in an attachment. Karen (CO) : So much for their Amazing service, 5 weeks without fax and still no ETA on a fix! Ringcentral provide fixed monthly rate plans for a given number of pages per month, as follows. Each plan has a free trial option and includes a shared number unless otherwise stated. 500: 500 free pages included each month for a rate of $6.59/mo (annual plan, otherwise $9.99/mo for month to month plan). This plan includes all features plus web support. Additional pages are charged at 5.9cents/page. 1000: This is the most popular plan and costs $12.99/mo (annual plan and $17.99/mo on month to month plan) and includes 1000 free pages. Additional pages are 4.9cents/page. This plan includes web and phone support, plus all features. 2500: For high volume users this plan includes 2500 free pages per month and costs $49.99/mo when signed up for the annual plan, or $59.99 for the month to month plan. Includes all features, web and phone support. Unlimited Corporate Plan: Unlimited pages for $39.99/mo. This plan includes 2 fax numbers plus web and phone support. Service is $49.99 if used on a month to month basis. These are dedicated numbers so each employee gets their own. Additional numbers are $4.99/mo. Add-ons: Additional numbers are $4.99/mo and a vanity number has a one time $30 fee. Features: Toll-free or local numbers, send/receive by email, Microsoft Office/Outlook integration, encrypted connections, password protected storage, electronic signature, alerts and online portal management/logs. James (NY) : I switched over from MyFax to Ring Central It is a different world. With MyFax, I was not sure if the faxes went through and often received faxes several days after they were sent, if at all. With Ring Central, I have the confidence that my fax requirements are effectively met. The cost is also much less that MyFax as I have the discounted annual payment option. Highly recommend Ring Central for any product if they carry on like the fax service. 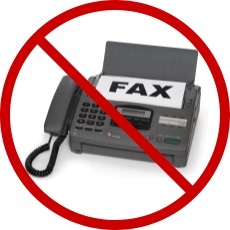 Ian (MI) : I only use the electronic fax function, not full VoIP. However, on my e-fax, I've noticed that most (75%+) of faxes sent from my mobile email didn't go through. I chose not to use the mobile app, because it wasn't very easy to attach documents. The app on my desktop works well, but RingCentral takes over as default printer frequently, which is annoying. Also, I get a message from RingCentral whenever I lose internet connection. This is entirely NOT necessary, and wish I could turn that off. GFI are an international company and a great choice if you are faxing internationally as many countries are included in their plans. Monthly Plans: Up to 150 pages plan is $12.75/mo, up to 500 pages plan is $39.00/mo, and the up to 1,000 pages plan is $76.50/mo. Yearly Plans: 1,800 pages per year is $137.70/yr, 3,600 pages per year is $259.20/yr, and 6,000 pages per year is $421.20/yr. Additional Fees: A one time activation fee of $99 includes a free number. Existing numbers can be ported at a fee starting from $20/number. Additional numbers are available at $2.50/mo. Included Countries: At present, 17 countries are included in these plans including USA, UK and Canada (i.e. no additional international rates applied). Please check the GFIfaxmaker website for an exact list as this is often updated. Features: Users can send/receive by email (supports multiple mail servers), view activity and monitor status, send anything that can be printed, and personalize cover pages per user/department. Jeremy (WA) : Been using GFI Faxmaker for almost a year and everything has been pretty smooth sailing. It was a little more painful to get set up than I was initially led to believe but once we got use to it you never want to go back to the old ways! Price wise it seems there are cheaper options out there and in general more options in the market now. However, I would recommend considering them. We have been happy with the service to date. Online fax service is a great way to reduce business costs. This low cost service saves on buying and maintaining hardware equipment, as well as the cost of a dedicated phone line. We highlighted some popular providers to help make a comparison with your existing costs.